the old "upholder" of Saint Martin's Lane seem to have possessed little or no charm in their eyes ; they appropriated but very slightly from them—a really remarkable fact, considering all things. As I have before insisted, it is a very simple matter, therefore, to distinguish between the respective styles. While, as we have seen, the earlier designer drew so largely for inspiration from the " Louis-Quatorze " and the " Louis-Quinze " (as Sheraton did from the " Louis-Seize "), Heppelwhite struck upon the " happy medium"; and, though indebted in some degree to all those modes for ideas, he sedulously refrained from following too closely upon the exact lines of any one of them. We have accepted it as a rule that, so far as the identification of style is concerned, the chairs of the eighteenth century are imbued with stronger and, therefore, more distinctive characteristics than other articles of household furniture of that period, consequently upon them we are able to utter a definite pronouncement with the greatest ease, and, at the same time, with the greatest degree of certainty. To the chairs, then, we shall turn first. 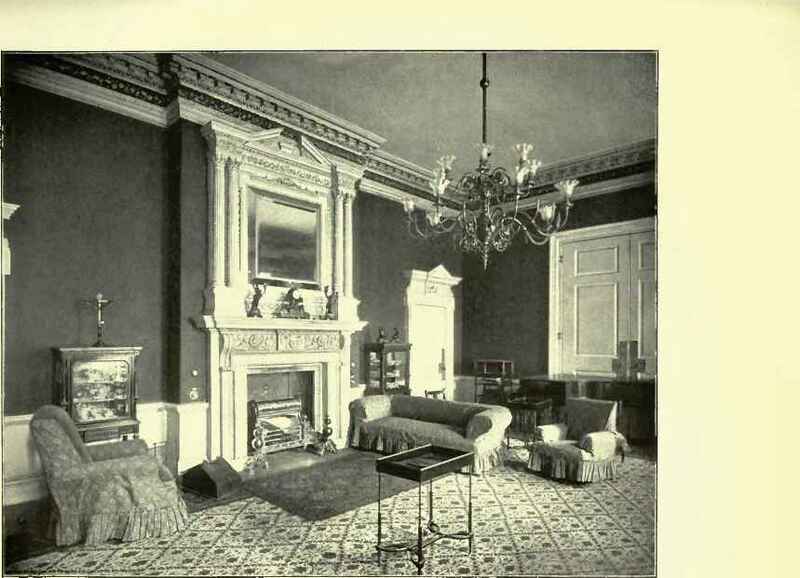 When we have to deal with cabinet work, on the other hand, we shall find that the variations are most numerous, and far more subtle, and consequently more difficult to distinguish, depending as they do, for the most part, on slight differences in more or less minute ornamental detail rather than on form. However, that phase of our subject we shall discuss in its place.